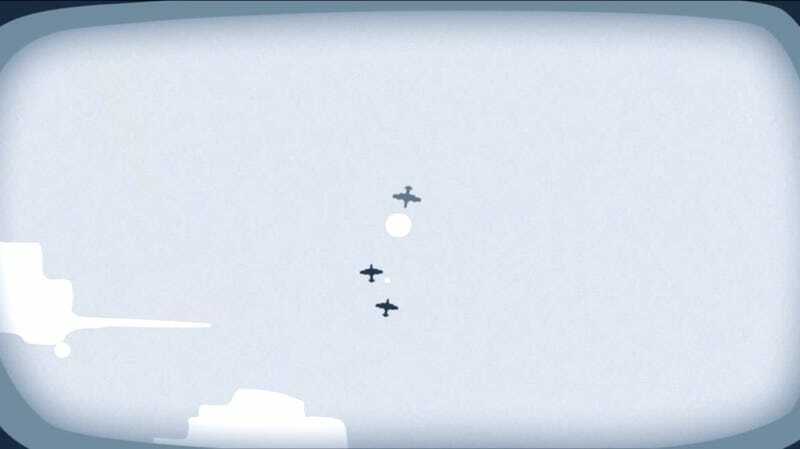 Two days ago, dev studio RubiqLab found themselves the subject of much scorn, thanks to the unseemly resemblance between their game SkyFar and Vlambeer’s long-ago-announced Luftrausers. They responded to their critics by saying that they’ve been working on SkyFar for a year and cited U.S. copyright law. Now, RubiqLab is accusing Vlambeer of copying. And your game also came under pixel art. Earlier games likes SkyStricks & Jetstrike also were in pixel art. SO WHAT DO YOU SAY IS THAT REALLY YOUR OWN IDEA ? please publish this msg over your page..
As best as I’m able to figure, RubiqLab appear to be accusing Vlambeer of copying from older games like Skystrike and Jetstrike. It’s true that aerial dogfight games have been around almost as long as video games themselves. Who knows what role–if any–older games may have had as inspiration for either. But Vlambeer went out of their way to have their game look and feel a certain way, first in a browser version and then in the one being prepped for release. It would be an awfully convenient coincidence if RubiqLab had incredibly similar looking and feeling ideas at the same time. Where Are Uncharted 2&apos;s Developers Today?